Actually, only one of those things is true. What to pack? What to wear in August in Rome? Is August a good time to visit Rome? Rome in August - how hot is it? This is the true one of the list above. Yes, it does get really hot and humid in August in Rome. Or it can. Come prepared for the heat but bring a light cardigan or scarf just in case. Usually during the day, it's in the high 20's °C/ low 80's °F...up to the mid 30's °C / mid 90's °F. At night, it's really nice to walk around even without a jacket. And during the day, you should really consider staying out of the heat in the middle of the day when it's a full-on sunny day. With the warm weather, a lot of people want to walk around Rome in shorts. While Romans won't dress this way, you can, of course, if you want to. But if you are visiting any church (that includes the Vatican and Vatican Museums), or other Christian site, you cannot have bare knees. These hiking pants with removable leg are perfect for a quick change. A good sun hat with UPF is key in summer months. It will help keep you cool and protect you from the sun's harmful rays. I love my Wallaroo hat: it's got great sunblock, it's foldable, lightweight and comfortable. Men, women and children should wear hats. Something lightweight, with sunblock, that you can easily fold up and carry, and that's washable, is ideal! Lightweight linen pants are also great for comfort and sightseeing, and going out to dinner in the evenings. Trust me I am not crazy when I tell you to bring a scarf with you to Rome. For August, this means a very lightweight all-cotton/linen scarf. Why? First, you can wear it on the plane or anywhere chilly. Second, it's perfect for carrying around with you, so you can cover up those bare shoulders to visit a church. This goes for men and women. And third, well of course you will be fashionable, just like a Roman! I've seen more and more people walking around in the sun with an umbrella. While I personally wear a hat, I do see the appeal of carrying an umbrella, as a parasol, to keep cool and in the shade. This super-lightweight, UV-protection travel umbrella is a great idea since it's useful for other seasons too! These chill packs are a great way to keep cool, whether walking around Rome in the summer heat, playing golf, doing yoga...you name it. It's made of some kind of tech material - you just wet it, and it stays cold and keeps you cool for hours. Love it! For more ideas about what to pack for Rome, and a packing list, visit my page all about this. Summer is also tank-top weather. Just remember that the sun is very strong and high overhead for a lot of the day. So slather on lots of sunscreen, or consider wearing a t-short or other light short-sleeved top that covers your shoulders. You can expect hot, muggy weather, day and night...and pretty empty streets. You can also expect crowds at the Vatican and Colosseum, because anyone who is in Rome is here for tourism, and those are the sites they want to see! In Rome in August, yes you can expect some things to be closed, particular in the days surrounding the 15th, Ferragosto. But you can also expect plenty of shops and restaurants to be open, even all month long. Rome in August - Is everything closed? After I first moved to Rome in fall 2001, I spent my first August here in search of anything open: a supermarket, a pharmacy, and especially, a decent restaurant. Yes, the capital of a G8 country shut down almost entirely, for the whole month of August. I just could not believe it. I have seen a lot of people asking in online forums if ﻿hotels close down in August in Rome. You will have your pick of where to stay, at excellent rates. See below. Things have changed a lot since then. I believe the two main factors are economics and economics. The second part of that is that Italians who run small businesses are just as aware of globalisation as anyone else. There is business to be had in Rome in August. After all, even if the Romans are not here, the tourists sure are. But guess what? Many Romans are here too now. That said, many shops and restaurants, particularly the very traditional Roman ones, do shut down for some or all of August. However many shops are opting to stay open for some if not most of the month. And the same is true for restaurants, even some really good ones. And even on August 15. Click here to visit my page about where to eat in Rome in August. I doubt I will see in my lifetime the old-time Roman restaurants such as Armando, Hostaria Romana, Trattoria Monti, Roberto e Loretta, Colline Emiliane and such, take less than a month off at August. August 15, or Ferragosto, is one of the most important holidays on the Catholic calendar: the assumption of the Virgin Mary. For observant Catholics, at least in countries like Italy, Spain, Greece, Mexico, etc, August 15 is right up there with Easter and Christmas. The Ferragosto holiday began during Roman times. It comes from the Latin feriae Augusti (Augustus’ rest) which was imposed during the reign of emperor Augustus, around 20 BC. Later, during Fascist times, the regime organised trips for less well-off families, for 3-4 days around the August 15th holiday, so that they could finally rest, and get a chance to see the sea. Over time, factories in Italy all began to shut during the month of August, to give all their workers a break. This meant that truck drivers also stopped working and so it went. Soon everyone was taking the entire month of August and going to the sea or the mountains. As I said, this is not the case any longer. I have seen with my own eyes a huge change since I moved here in 2001. Most of my Italian friends, who do indeed get 4-5 weeks off a year, simply do not take them all at once in August. They might take a week or ten days, usually around the 15th, or, from the 15th until the end of the month. What sites are open on August 15? On August 15 in Rome, many major sites are open, with one big exception. Obviously, all the fountains and squares are available for sight-seeing. Churches will be open although many of them have mid-day closing time for a few hours. Rome always has beautiful things to see even if some things are closed. It's an open-air museum! Don't miss Piazza Navona, one of the most beautiful squares in Rome! 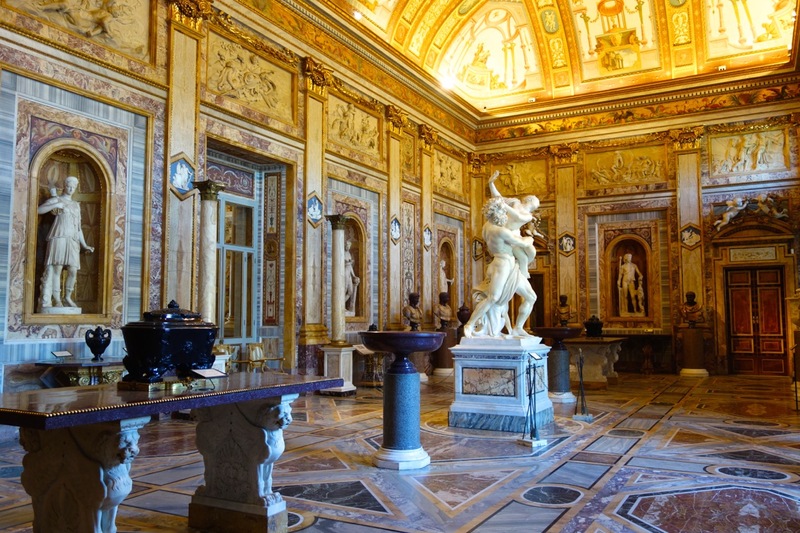 The Galleria Borghese museum is open (you need to book this in advance). Ancient Rome sites (the Colosseum, Forum, Palatine Hill) are all open. So are Trajan's Market, the Ara Pacis, and Castel Sant'Angelo. The Vatican Museums, which include the Sistine Chapel, are always closed on August 15. In 2018, August 15 falls on a Wednesday. Sometimes, museums that normally close on a Monday, such as the Galleria Borghese, will remain open on the 15th. And so, to give their staff a "holiday" day, they may be closed on another day that week also. In 2018, it looks like there is no special closing date, other than their normal Monday closings. The Vatican Museums (and Sistine Chapel) will be closed (as usual) Sunday August 12, OPEN Monday August 13, and closed Tuesday August 14 AND Wednesday August 15 2018. Want to visit a museum on August 15 or August 16 2018? The Capitoline Museums and the Galleria Doria Pamphilj will be open. For a listing of pharmacies, hairdressers, and cinemas open in Rome in August, head over to my pal Gillian's page about this. Rome in August - Is it high season and really crowded? It's funny, I keep hearing that August is high season in Rome. Many travel websites also state this. But I ran a B&B in the center of Rome for 17 years, and I can tell you that August has never been and certainly is not now, even close to high season. August in Rome is a mix of mid- and low- season. Yes! You read that right. Why? This is the Pincio, at the end of the Borghese Park, and not far from the Spanish Steps. It's the middle of a clear, sunny day in August, with a gorgeous view to the Vatican. See the crowds? Rome in August is mid-to-low season because there are so few people here in August, so hotels have to lower their rates to attract people. First, almost no Italians travel to Rome in August for their holiday. Italian's tend to spend their August holidays in the beach, the mountains, or, out of the country. They come to Rome for tourism during other parts of the year, but not in August. Second, August is family vacation time across Europe and North America. Many of those potential tourists are thinking just like Italians do: Rome is too hot, so let's go spend our holidays at the beach. And finally, even for the families that do come to Rome, it can be very expensive to stay in a hotel – especially for families that need more than one room. All of those families grab the bargains -- B&Bs and self-catering apartments -- and hotel prices drop like stones. Yes, you’ll find crowds at the usual spots (the Vatican, the Coliseum and the Trevi Fountain), but the rest of the city is pretty empty, and you can get some real bargains at the hotels in Rome. Too hot in Rome in August? Looking for a day trip? Hotels will be more expensive at vacation spots like coasts, lakes, islands and mountains, but a day trip could be just the thing to get you out of the city and see something new and different and maybe even cool down. This is the time to eat all the summer fruits and vegetables, such as peaches, apricots, melons, and plums; and eggplant, zucchine, tomatoes, basil, beans and fennel. Summer is the season to have sweet melon with salty prosciutto. You can only get tomatoes like this, sweet as candy, in summer. At Pizzeria Emma, you can savor every detail from the fresh juicy tomatoes to the sharp olive oil to the light, crunchy focaccia. At L'Uliveto restaurant at the Cavalieri Waldorf Astoria, try chef Fabio Boschero's summer tasting menu, based on zucchine, zucchini flowers and fish. Heaven! Do you want to see Pope Francis in Rome in August? You may be in luck! In recent history, popes have spent their summers outside of Rome, in the Papal summer residence at Castel Gandolfo. However, Pope Francis has yet to take a summer holiday there. In August 2015, 2016, and 2017, Pope Francis held audiences throughout August in the Pope Paul VI Audience Hall at the Vatican. No tickets are necessary to attend the Papal audience during the month of August. The same plan is in place for 2018. And on August 15, a major Catholic holiday, you may attend the Angelus in St. Peter's Square for free. It begins at noon. Click here to read more about seeing the Pope in Rome. Summer sales officially begin the first weekend in July and end in the middle of August. So by August, a lot of the good stuff may be gone, but what is left is highly discounted. Bargain-shopping time! If on the other hand, you love getting in on the ground floor of the latest fashion trends, then August is the time to shop for fall fashions in Rome. Ugh right? Who can try on wool pants and puffy coats when it's sticky hot outside? But guess what? That's when all the hot new fashions come out. And fashion-smart Romans will do their fall shopping in July and August. By September, when you want that stuff, most of the best of it (and in your size) will be gone. Get the trends before they are out of your size. Shopping in Rome in August is perfect if you want to be ahead of the fall fashion curve! In August 2019, we do NOT have the Free Sunday. This means you have to pay, as you normally would, but it also means you can reserve a spot, skip the line, visit the S.U.P.E.R. sites, and book tours. On the last Sunday of the month, the Vatican Museums are open and free. In 2018, this falls on August 26. Hours are 9am - 2pm, with last entry at 12:30. No reservations are possible and tours don't go this day. If you don't show up long before 9am, you risk waiting more than an hour, even two, in line, and not getting in. From June 10 through early September, enjoy the annual outdoor festival, Roma Estate Lungotevere, along the banks of the Tiber River. Entry is free, but you can also eat, drink, listen to music, watch movies and shop. Prices vary. On both sides of the Tiber, between Ponte Garibaldi and Ponte Sublicio (entries near Jewish Ghetto and Trastevere.) Click the link to the left for a full program including cinema showings. Rome in August is pretty hot!Why not hit the beach? Even if visiting the beach was not on your itinerary for your visit to Rome in August, I find that when Rome temps start soaring, many people ask how to get to the nearest beach. Fregene beach is not far from Rome, and a great way to spend a day cooling down. Here's my definitive guide to the best beaches near Rome, and how to get there. Now through part of November, you can visit the Colosseum at night. This is a very special thing to do as you see the colosseum from a very different point of view. Open nightly from 8pm to midnight. 20€ and not to be combined with the Roman Forum. Not part of Roma Pass. Click the photo to go to the official website and online ticket office. You can also easily purchase digital tickets through Tiqets. If you'd like a more complete night tour, click here (in US$.) For this tour in another currency, click here. Visit my page about this for more details. To book a more complete guided tour, click here. Visit Castel Sant'Angelo by night, and see parts normally closed to the public, including the famous passetto di borgo, a secret passageway used by the popes to escape the Vatican to hide in the Castle when Rome was getting sacked in the Middle Ages and Renaissance. When in Rome . . . why not attend a gladiator battle? 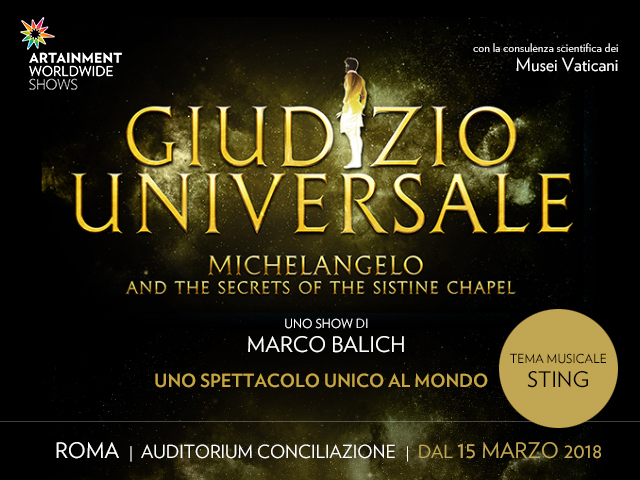 This fantastic show is produced by the Gruppo Storico Romano, with professional re-enactors, and real weapons and armor. Take your seat in the re-constructed arena, not far from the Colosseum, and enjoy realistic gladiator fights, and other shows including ancient dances, rites of the Vesta, and more. At the end of the show, you'll be treated to a small aperitif consisting of food and drink made with recipes from Ancient Rome. Listen to beautiful chamber music or symphony music at Rome's Teatro Marcello This stunning monument was built under the reign of Augustus, around 13 BCE, around 100 years before the Colosseum was built. Don't miss this unique opera + aperitivo on one of Rome's most amazing rooftops, the Borromini Terrace. Combine beautiful music, with the stunning baroque setting on Piazza Navona, and a special aperitivo, to make for a fabulous evening in Rome. There's a maximum 30 people (including an art historian guide), to keep this experience exclusive and special. In summer, concerts and operas are held in the Caracalla Baths. These ancient ruins are beautifully lit, and make for an amazing setting for these shows. Shows in Rome in (only) the first week of August 2018 include Carmen by Bizet, and the ballet Romeo e Giulietta (Romeo and Juliet). For the complete schedule and to purchase tickets, visit TicketOne. Watch and listen to chamber music and string quartets in a stunning setting the cloister of Borromini's church, St. Ivo alla Sapienza. Through August 11 2018. Tickets and info on their website here. TURNER - Works from Tate - at the beautiful Chiostro del Bramante, from March 22 - August 26, 2018. Open Mon - Fri 10am - 8pm; Sat - Sun 10am - 9pm. 13€ includes audioguide. At Palazzo Braschi (right on Piazza Navona) - Don't miss the wonderul exhibit of Canaletto works, to mark the 250th anniversary of this Venetian artist's death. The pieces are magnificent, and the setting is lovely, especially the views of Piazza Navona below. Now through August 19 2018. Closed Mondays. Tue - Sun 10am - 7pm. 11€. Discounts available with Roma Pass. Get the Rome in August e-book today, and take it with you, even offline!